1. 5 acres of commercial land, approved for 16 storage condominiums. This parcel is located behind miller's ale house off of colonial blvd. The approvals are for 4 pads. The owner has building plans for 16 units with dimensions of 25' by 55', totaling 1375 sq ft of air conditioned space. An excellent location; just off of colonial blvd & metro parkway, minutes from i-75. Commercial property only for sale or lease ( not the business ) on palm beach blvd near i 75. Currently a used car dealership and mechanics shop. There is a 1800 sq,ft office and a 1000 sq/ft garage with a 3 bay mechanics shop. Owner is willing to consider a lease arrangement, or lease with option to buy, also there is a possibility of seller financing, terms are available upon request. This property has 2 separate rental for now ( used cars and mechanic shop ) total $5. 088. 00 monthly. One of the few remaining larger commercial sites with palm beach blvd. Frontage. Ci (commercial intensive) zoning is very flexible and covers most commercial uses and multi family of approximately 90 - 100 units. The site consists of 6 parcels and has 3 road frontages as follows: 243 on palm beach blvd. 428' on woodside ave. And 338' on van buren st. New o'reillys auto parts store just built on adjoining site. 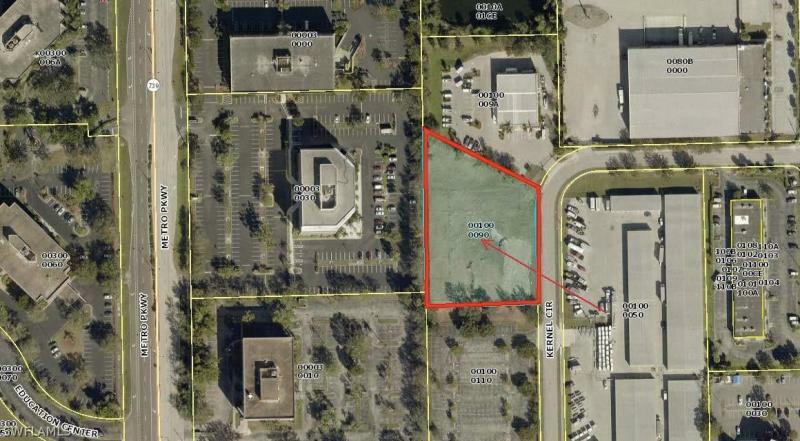 Two c1 parcels comprising nearly 1 acre in the city of ft myers offers turn-key opportunity. Lease or buy ideal for company with a fleet or large equipment, including home improvement, hvac, plumbing, landscaping, tree removal, etc. Numerous parking spaces ideal for car dealership overflow, limousine or towing business. Property entrance enclosed by commercial fence block post and iron fence with concrete footer. Concrete paving is 8 thick. Adt cameras and lights add extra security. Offering includes 60'x12' modular mobile office with (3) units, with potential for private back doorway entrance. Part of williams park subdivision, this quiet end of street location is directly adjacent to railroad, presenting option to apply for rail service and transport. Owner financing available - pay interest only for five years. Seller will entertain splitting parcels. Great investment, this condo is being sold well below developer prices but yet offering all the developers choices for flooring, cabinets,hard surfaces etc. This siena floor plan is open and airy and is being built in a modern and contemporary high rise in downtown ft. Myers on the beautiful caloosahatchee river. Condo offers a deluxe master, plenty of storage & multipurpose laundry closet, as well as access to the balcony from both bedrooms & the great room. It includes energy efficient stainless appliances & led lighting, granite counters (choice of designer colors), refrigerator choice (w/french door option), luxury textured finish on walls & ceilings, regal door trim & baseboards, elegant doors & fixtures, stylish floor choices and more. Prima luce features 325' of direct caloosahatchee river frontage in historic downtown. Enjoy riverwalk, 2 private piers w/ gazebos, lush landscape, romantic nighttime illumination, luxury 3-tier zero-entry heated pool, bbq & picnic areas, covered verandas, social room w/ pool deck access, library & lounge areas, state-of-the-art fitness center, business center, meeting room, virtual concierge (dry cleaning & other services), dog park, etc! Penthouse living for those who want all that waterfront living has to offer. Turnkey with $50,000 furnishing package at no additional charge. 12' ceilings, granite counters, 42 cabinets. This penthouse offers three parking spaces which is unheard of in the downtown fort myer's waterfront high rise market. In addition, only the top three floors of beau rivage offer access to natural gas in existing product for the true cooking aficionado. Kitchen setup is an entertaining dream complete with island. Or stroll out and enjoy dinner on the 500 sq. Ft. Tiled open air lanai. This condo offers unprecedented value over new construction. A walk or free trolley ride to the newly revitalized river district with over sixty restaurants, shops, boutiques, galleries and the home of the under construction luminary hotel, a 237 room marriott autograph collection hotel spearheading downtown fort myers into a true destination. This property is uniquce in the fact that it has 3 buildings on it and 4 rentals. The waterfront views for all units is amazing. The 2 homes closest to the water have their own privet fenced yard. One unit is currently vacant and able to view same day other 2 units will need 24 hr notice. All units are on a month to month lease so vacating will not be difficult. New management in place so only able to provide 3 months of statements. These owners are motivated and welcome any and all offers. Do not approch tenants! This gorgeous pool home is the crown jewel of lindsford. This 3 bedroom + den and 3 car garage home is situated on an oversize pie-shaped lot. It has level 5 wood plank tile flooring, a custom kitchen, reverse osmosis water system, tray ceilings along side designer paint/features throughout. This hawthorne floor plan has triple sliders that open and pocket creating a huge indoor/outdoor area overlooking the salt water pool, spa, and lake. The master bedroom has his/her closets, a jetted soaking tub, frameless shower doors, and a double shower head. 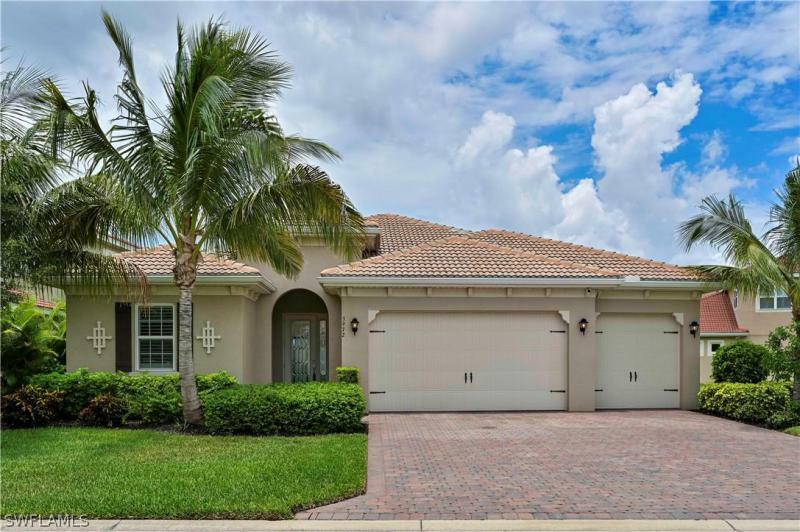 Over 100k in upgrades have been added to this home including hurricane windows, plus electric roll down shutters on the lanai for added security, crown molding, granite throughout, a water softener, brand new 5 ton ac, security system, plantation shutters, and so much more! 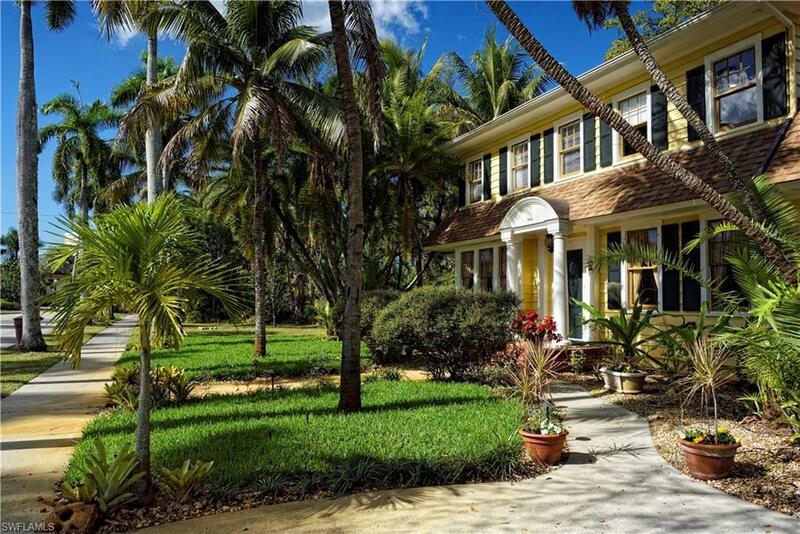 Lindsford is centrally located in fort myers, close to rsw airport, shopping, and the beaches. It's a maintenance free & gated community that has plenty of amenities including: gym, basketball, tennis, pool/spa, fishing pier, bocce, playground, and clubhouse with plenty of social activities. This is your dream home, nothing to do but unpack your bags!